Jesus wants to get your attention. God the father has been working since the beginning of time. You must be working also. The only way you can check if you are working in the spirit is how you wake up in the morning. Are you prepared for the new day? Are you prepared to see your father working in your life and in the life of others? Do you want to please him in your ways? Do you want to know what to do from dawn to dusk? Do you want to see his face? Do you want to see his glory? Are you ready to be used? Are you ready to be the servant of the most high? If you are ready, please don’t turn your first Angel down. Please don’t give him any excuse and reason not to get up. As he is Angel and he might not compromise with your procrastinations. He could take your word as it is. So be careful what you say with the Angels. You cannot see the dark night without light unless some kind of sun light shines. The same way you cannot see what is hidden there in spirit, unless the Lord tells you as you get up and seek his face. He will then bring everything in to the light. You might not have experience before to get up in the morning and seek the Lord’s face. You could also be dead in the spirit all these years that you get up of your bed with despair and hopelessness. No wonder you struggle with your own decision all day. The devil has the chance to tell you many lies when he gets the chance. So the only way you could end his lies is when you bring them to the morning star, Jesus. As we surrender our lives to Jesus Christ, surely we have seen light that has exceedingly bright and shining every dark chambers of our heart. Jesus is the true morning star who has beautifully bring brightness and beauty and hope to our future. It is impossible to think life without his everlasting promise of hope and encouragement. Jesus spoke again to the people, he said, "I am the light of the world. 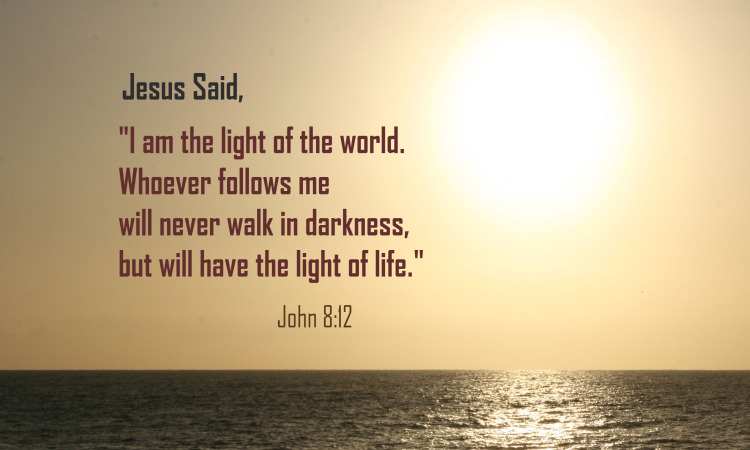 Whoever follows me will never walk in darkness, but will have the light of life."